Dr. Sandra Read is proud to offer CoolSculpting. See pictures of the results possible with this popular non-invasive procedure. 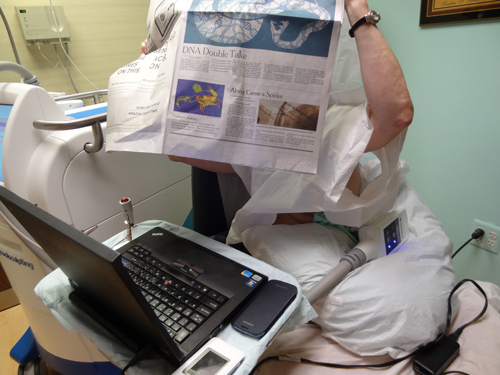 CoolSculpting in my office, patient "cool & comfortable"